I’ll be honest: I did not expect Total War: Arena to be this good. 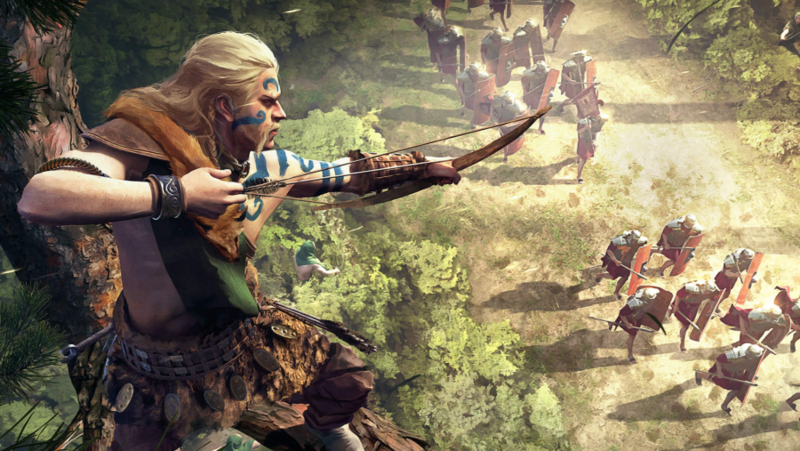 The Total War games have always been more than their real-time battles. They are about scrolling across an interactive map of medieval Europe, inhaling the atmosphere of a world long gone (one part burning wood, two parts human faeces). They are about whiling away the hours eyeing up territory, wondering why it is not yours: the kingly notion that has started all too many wars. And the battles themselves are coloured by the broader context. This crucial river crossing is the gateway to an otherwise unprotected continent; that routing unit of archers will be your last if you cannot afford to train another. The Total War games are layered, like the history textbooks our school teachers had us cover in wrapping paper. Arena promises to strip all of that away, leaving behind only multiplayer battles of no consequence beyond the acquisition of varying amounts of XP. Who wants that? Well, it turns out Arena solves one of the series’ longest-standing problems. Think of the iconic Total War image, with hundreds of soldiers arrayed in formation on a gently declining hillside. It is these battles that provide easy spectacle, as your camera sweeps cinematically above the heads of the hoplites. Tactically speaking, though, they are often too large to keep track of – a recipe for failed micromanagement. Better to auto-resolve than to face the inevitable loss of the units you have accidentally neglected. 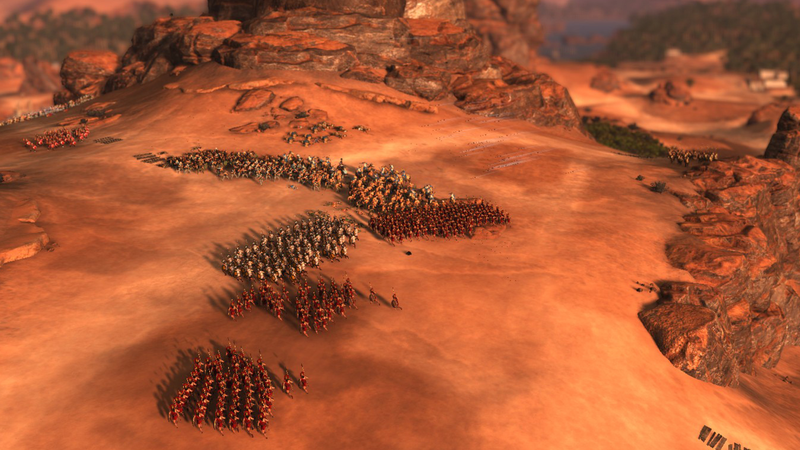 For Total War: Arena, Creative Assembly have worked out the perfect number of units to control at once: just three. Three is not only a crowd, but one large enough to pull off a pincer movement. Yet it is small enough, too, to keep track of exactly which way everyone is facing, and whether or not they have their shields raised or flaming arrows poised. Your three units form part of a much larger force, controlled by several players, thereby meeting the Peter Jackson headcount for extras even as it keeps things manageable. Like I said: perfect. Better still, friendly players are encouraged to adopt roles that will naturally complement yours during the course of the fight. The Romans, whose legionaries are both mobile and sturdy enough to shape the battlefield. It is the Romans you tend to find closing bottlenecks or protecting key defensive positions: in this case, the rears of the Barbarians. Caesar’s boys can scare off any opposition’s reinforcements long enough for the horsemen to run down their quarry. Unless Hannibal’s elephants get involved. We can talk about them later. It might not be the most historically accurate interpretation of the ancient era Creative Assembly have ever rendered – my textbooks made no mention of the day Caesar had Boudica’s back in the battle for the Capitoline Hill – but it does allow you to ease into a clearly defined role on a field with several possible fronts. Total War: Arena is, despite the scale, accessible. It is consistently exciting, too, thanks to the boundless possibility of surprise. Your view of the battlefield is defined by line-of-sight: if you and your allies cannot see an enemy unit, they do not exist – until, all too suddenly, they do. For the cunning general, this system is ripe with opportunities: a line of archers concealed by a treeline; cavalry parked behind an outcrop, awaiting the right moment for a devastating flanking manoeuvre. 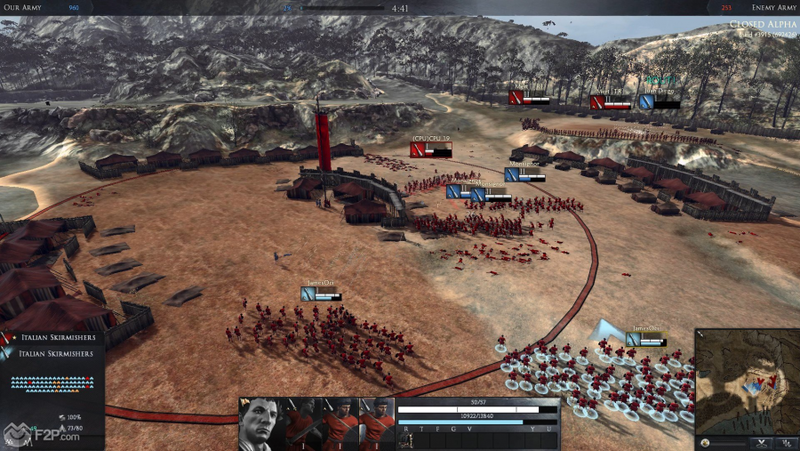 One arena in which this strange Total War instalment excels is shock and awe. Your first high-ranking matches against elephants and heavy artillery will leave you cowering as once-dependable infantry become the unintentionally airborne division. The opportunities provided by invisible armies become particularly pertinent when you consider that victory is possible not only through annihilation, but also by capturing the enemy base. If you leave any route through the map unprotected, you are exposing your team to the possibility of an early loss. What is remarkable is that so many of these combat principles – flanking, ambush, morale – have been in play in Total War for decades. But Arena makes them feel fresh by bringing them into stark relief for the first time. 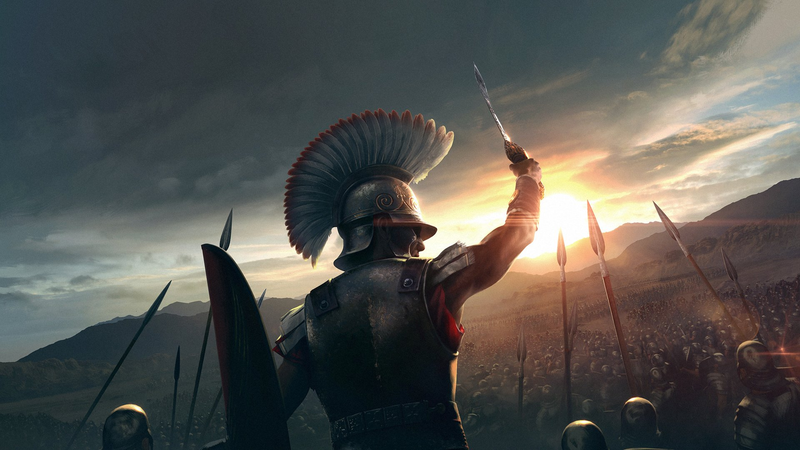 Here’s another first: Arena is a free-to-play Total War game, and a reasonably generous one at that. Creative Assembly handed Arena to Wargaming to publish, and its tiered progression system will be familiar to anyone who has played World of Tanks. Both wins and losses bring in a trickle of XP that slowly increases your overall rank, and with it your options for new unit types. Coins earned in battle are used to hire better units, as well as buy incremental improvements to your weapons and armour, or one-off items that can be deployed in battle. A disproportionate number of those items are wine, but I suppose that is the ancients for you. Any of these earned improvements can be made instantaneous with enough premium currency, and a very small subset of units are purchasable with real money only. You will never be unfairly pummelled by a general who paid for their prestige, however, since you are matched with players of your own tier. There is a downside to that last point. By and large, the most spectacular units are reserved for the upper tiers. Which means, for a long stretch, you will not be seeing any ballistae or onagers. Reach the higher end of unlocks and you enter a world where the battlefield is dominated by hurled boulders and elephants capable of dispatching a score of legionaries in a single stomp – shocking spectacles that those who bail on the game early will sadly never see. What’s more, as each race becomes more varied, they lose a little of the distinction that makes the interplay of the early game so enjoyable. Yes, the Romans get to be masters of artillery, and the Carthaginians have their huge pets, but where do the Greeks fit in? Who are the Barbarians now that everyone can field horses? There are visual bugbears that work to undermine Total War: Arena’s battlefield drama, too. Fences collapse a little ahead of the unit supposedly trampling them underfoot, while routing units sometimes look as if they are dejectedly making their way back to the bench, rather than running for their lives. Trivial stuff, perhaps, but this is a series that gives you full zoom to better appreciate the roaring charge and clash of spears. It is a shame to let anything break that heady spell. At this point, though, I am splitting horse hairs over what is a hugely successful experiment. Arena gambles on Partial War, plucking one element of the series formula from the rest and asking you to devote yourself wholly to the arts of timing and positioning. And it works: having spent time honing my unit management, I cannot wait to bring that knowledge back to Total War proper and trash some greenskins Sun Tzu style. 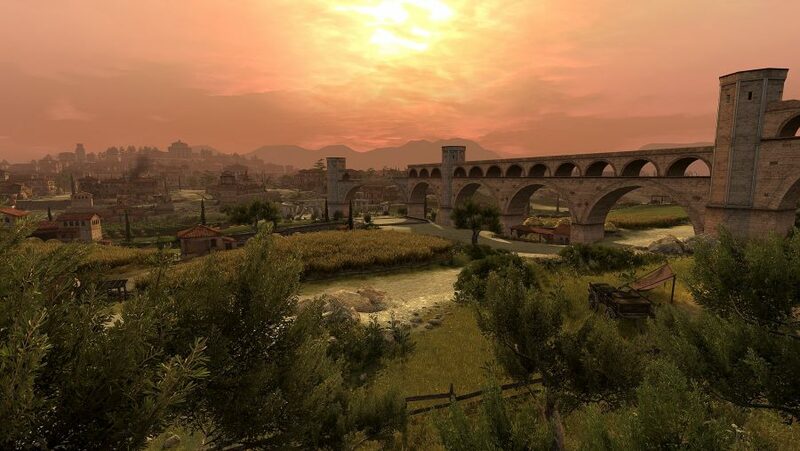 Although the series naturally lends itself to scale, it has often been observed that Total War is at its worst when bloat sets in. So perhaps it should have been no surprise that Arena finds victory in focus, accentuating just a handful of tactical elements so that they become the totality of the game. Then again, that is exactly what makes Arena so much fun: surprise.